Here's a tip, Boys Varsity Basketball is the real deal. 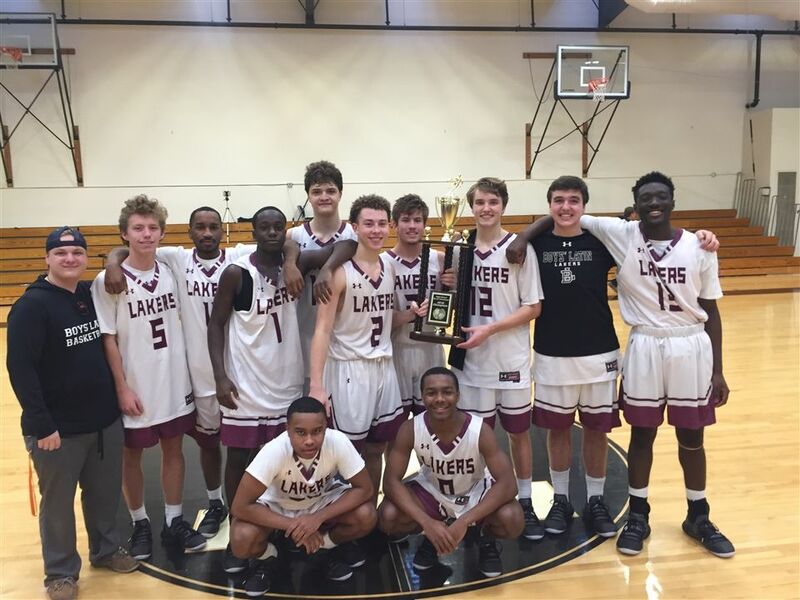 The Lakers traveled to The Kiski School in Saltsburg, PA this weekend for The Kiski Tip-Off Tournament and came away with three wins and a championship trophy. On Friday, a 31 point third quarter buoyed the Lakers to a win over Malvern Prep out of Philadelphia for a final score of 78-63. In the game, Cam Spencer '19 recorded a triple-double with 24 points, 11 rebounds, and 10 assists, Sam Grace '19 scored 24 points on 8-10 shooting on 3 pointers, and Jake Nichols scored 17 points and grabbed 8 boards. The win advanced the Lakers to the semi-finals on Saturday against International Sports Academy, a first-year program from outside of Cleveland, OH hat boasts several nationally rated recruits. Behind Cam Spencer’s 32 points, the Lakers led from start to finish and came away with a 60-52 victory to send them to the championship. In the championship, the Lakers were pitted against Ontario-based Father Henry Carr, a Canadian Prep League powerhouse program. Behind some hot shooting and good defense, they raced out to a 40-22 halftime lead. The Crusaders battled back before BL secured the win with stops on the defensive end and free throws late in the game. The final score was 67-60. Sam Grace led the team in scoring with 17 points, Cameron Watts '19 had 16, and Cam Spencer finished with 13. The Lakers, who are now 5-1, travel to Mt. Carmel Wednesday looking for a sixth straight win in their first MIAA A Conference matchup of the season.